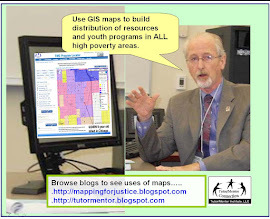 A couple of years ago the Social Edge forum hosted a discussion titled "Maps and What's Possible" featuring the Tutor/Mentor Connection's uses of maps. That's not the first time our use of maps have received attention. 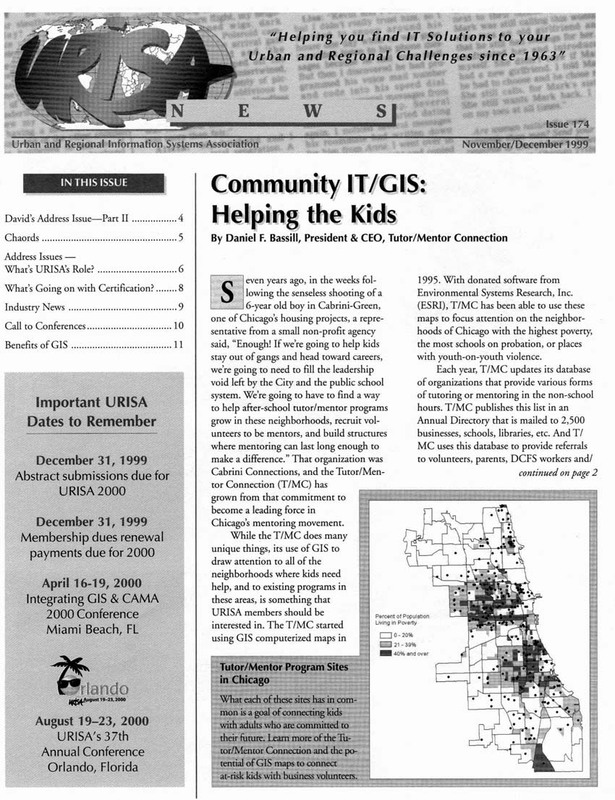 This is the front page of a 1999 story in the URISA Newsletter (see pdf). 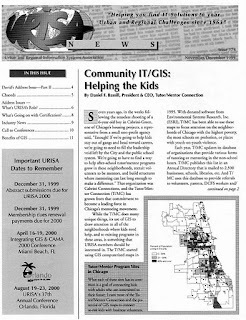 In 2004 our use of maps was nominated for a Global Innovation Award, as described in this pdf. 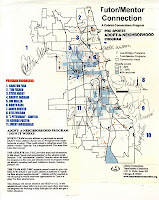 In 1995 our strategy was described as a "Master plan for saving youth" in this Chicago Tribune article. 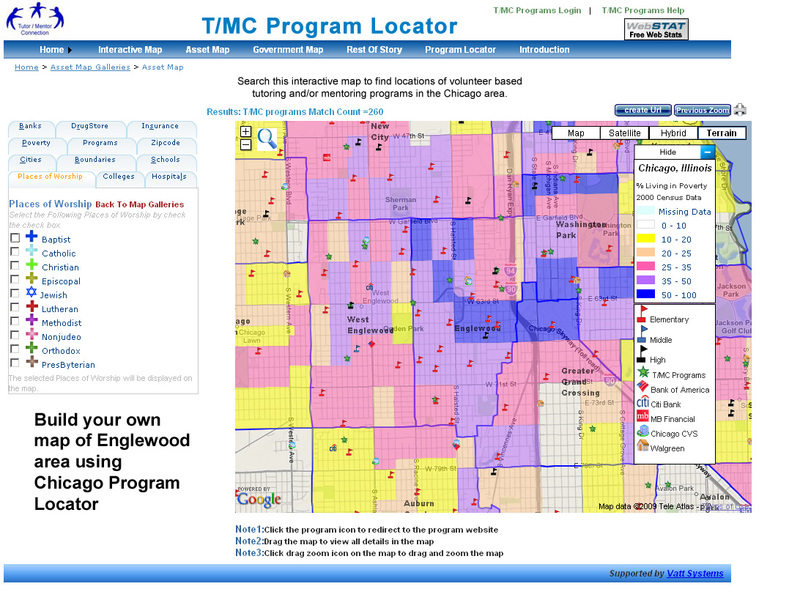 Our mapping strategy is outlined in this wiki and I'm looking for partners, volunteers, investors and benefactors to help us develop this strategy so it can be applied in big cities all over the world, as well as in other social benefit sectors. Can you help us find these resources? For the past week feature articles in the Chicago SunTimes have focused on the gangs and violence in the Englewood area of Chicago, near where Chicago Bulls Star Derrick Rose grew up. This was one article. In the Tutor/Mentor Blog I used this same map, and pointed to a parallel story from Maywood, where a teen was killed while sleeping as a result of a run-away car that crashed into her home. The drive of that car had been shot. In another set of articles I've been writing about sports and teamwork and showing how athletes could be "coaching" fans to support the growth of a wide range of youth serving organizations in different neighborhoods of Chicago and other cities. 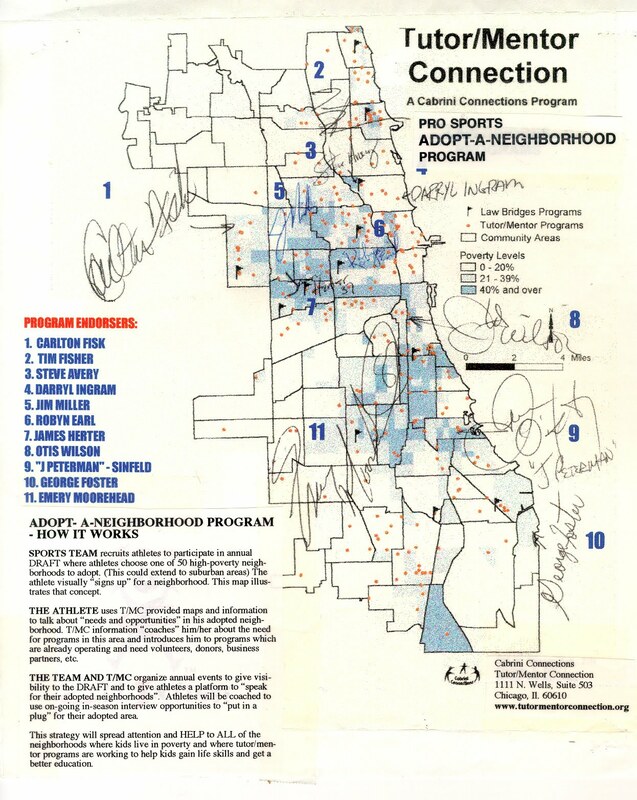 The map at the right is one that was signed by nearly a dozen high profile athletes almost 15 years ago, showing their interest in an "adopt a neighborhood" concept that I have been trying to build support for. I'd like to find a sports writer who would want to champion this and other Tutor/Mentor Institute ideas. I can't carry this ball all by myself. I also can't continue to host this map-resource without finding a sponsor/partner or benefactor to provide at least $50k a year to staff the project and support the continued upgrade of the technology and the data. Just one NBA or NFL star who wants to have a career beyond playing days is all this needs to become a beacon of hope for youth throughout every NBA city.